HowMechanismWorks ? 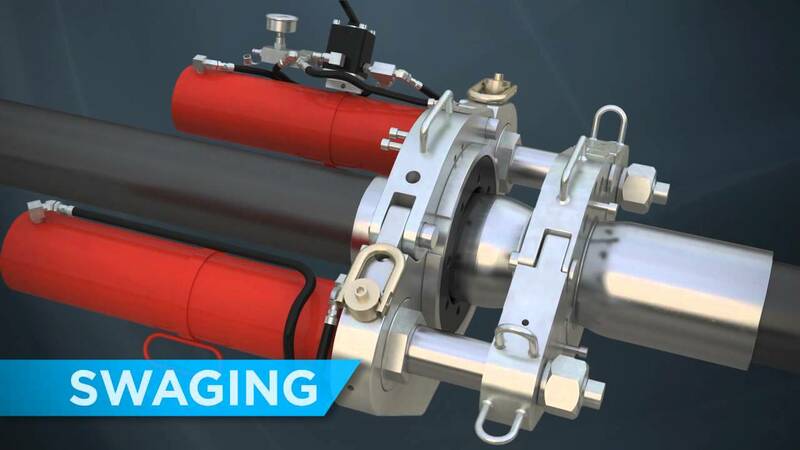 : What is SWAGING OPERATION ? What is SWAGING OPERATION ? Swaging is the action-oriented process for shaping a swage.Swaging is used in the metalworking field, known as metallurgy, to serve a variety of purposes. A swage is the shaped tool used to transform an object’s shape into the desired form by bending or shaping. Swaging is used in the metalworking field, known as metallurgy, to serve a variety of purposes. It is a cold working processing while hitting die that is divided is rotated to reduce the outer diameter of the pipe and round bar.. 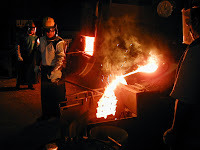 It is can sometimes be done as a hot working process and is considered forging. The fundamental concept is similar to forging process but it uses reciprocating die for repeated hammering, which force the metal into die. The die cavity contain the exact shape which we want to produce on rod or tube. 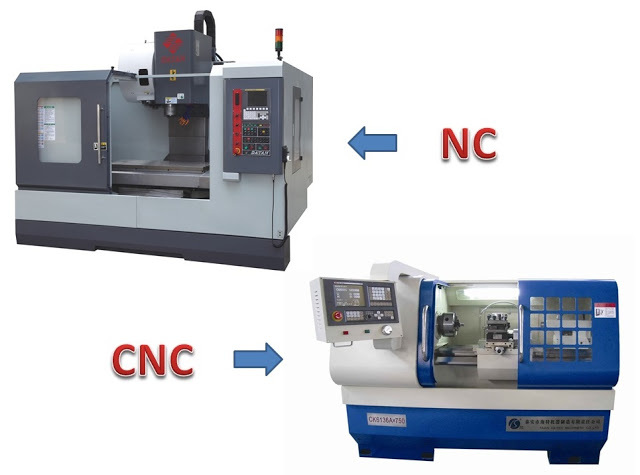 This process is used to form screw drivers, soldering iron tip etc. Traditionally from the blacksmith trade, swages (tools used in swaging) were used to form metal into new shapes that were more complex than what could be done with just a hammer. These tools had faces with shapes in them with a flat head.The process can alter the diameter of rods, hoses and/or tubes. Examples of swaging include pipefitting, hose fitting and decorative metal work. Think of any number of metal furniture pieces, and you can notice how the process of swaging was used to properly form the metal into these desired shapes. Today, swaging is a popular manufacturing process with one main category as rotary style. This style process is most often done as a cold working method to reduce a part’s diameter, create a point out of a rounded piece, or make something taper. For internal parts in a hollow workpiece, a mandrel is used. Regardless, swaging is meant to create a groove, ridge or shape into an object from a mold. Whether using a machine or hand tools, there are internal, external and combination types of swaging. Internal is most often found on tubes or hoses with fittings attached. Conventionally, a hard tool rotates or expands inside the hose to make a form. If using a flexible tool in a bulge-form operation of the tube, it’s called elastomeric swaging. This type can be used to expand tube into a fitting, or it can be used to create forms, like beads. Since constant pressure is used for this, there are no local areas of stress, no distortion, no thinned walls and no strength loss. 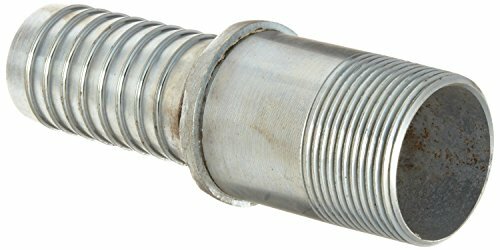 In an external swaging method, a ferrule (or ring) passes through a die that will split or bring down its outer diameter before a hose tube is forced into the stem serrations. Some choose to use crimping instead of this external process, though crimping alters circumference shape and length simultaneously. For rope and cable applications, swage sockets are applied at the end of a rope or cable and provide as much as five times more life than something like a spelter socket. A spelter is a poured form, rather than mechanically produced like a swage socket. Steel cable with carbon or steel swage sockets are used in a range of things from bridges to stadiums to cranes. Other applications using swaging include plastics, firearms and ammunition. Internal ballistics references will entail the bullet entering the barrel and being compressed to conform to the rifling. To form a good seal upon firing, most firearm bullets are created a little larger than the barrel’s inner diameter. Metal sleeves on rubber components can also use the swaging process for a more controlled method of joining the pieces to one part, and it’s more cost-effective. It can use for mass product. The process is easy and does not require any skilled operator. No material wastage because it does not form any chips. High accuracy can obtain by this process. Any material can be formed by this process. This process is limited according to diameter of rod and die.